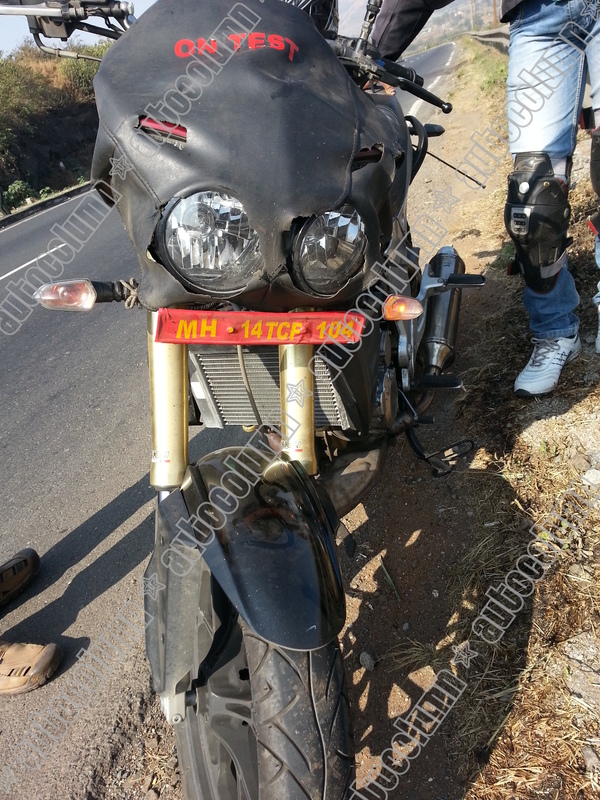 Seen here is the much awaited Mahindra Mojo 300 seen undergoing final engine testing in real world conditions. The quirky looking 300 cc bike has a ‘love it or hate it’ design philosophy that is supposed to appeal to naked bike lovers across the world. However as our photos indicate, it comes loaded with tasty goodies- but more on that later. First, a little bit of history on the Mojo. Mahindra first forayed into the volatile 2 wheeler segment when it acquired Kinetic Engineering Ltd. initially via an 80% stake back in 2008. Back then, the intent was to expand Mahindra’s presence in the automobile sector by entering this new market segment. As a result they also acquired some of the existing products in the Kinetic portfolio which were promptly re-engineered and re-branded. The new entity Mahindra 2 Wheelers Ltd. also entered into agreements with SYM from Taiwan for their scooter range and Engines Engineering from Italy for their research and product design needs. 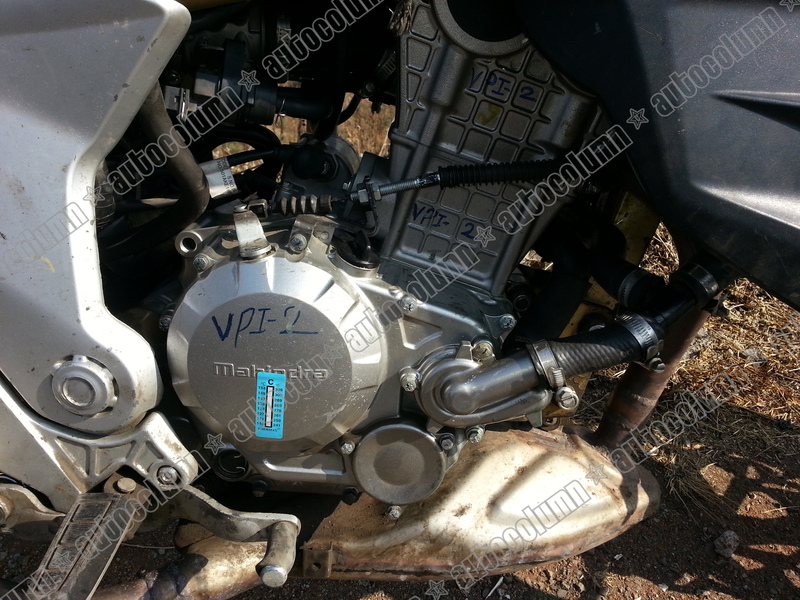 The 300 cc 4 valve DOHC engine with Electronic Fuel Injection (EFI) & liquid cooling has been mated to a 6 speed gearbox. All of this is apparently good enough for 25 Bhp@ 8500 rpm & 24 Nm of torque @7000 rpm. Stopping power is provided by a large 320 mm petal disc brake up front paired with a disc at the rear too. 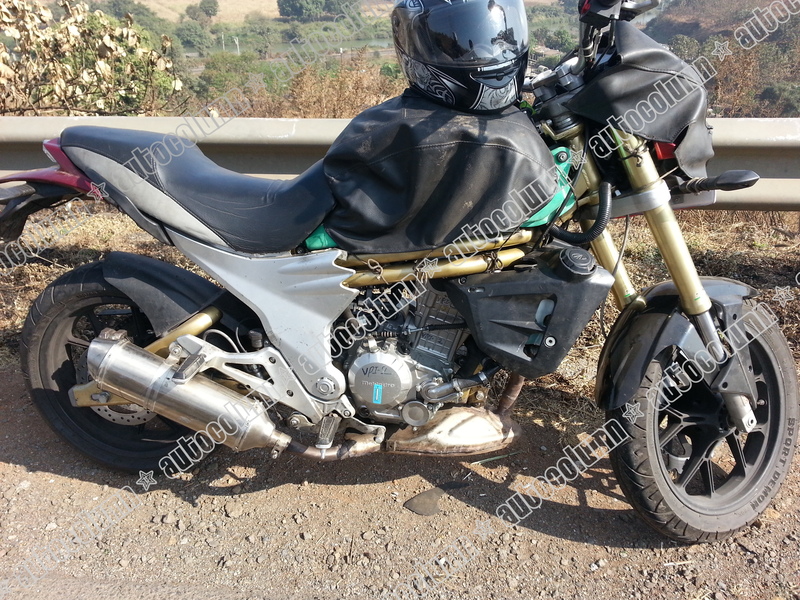 Gas charged rear shock is coupled to a pair of Paioli USD (upside down) front forks. 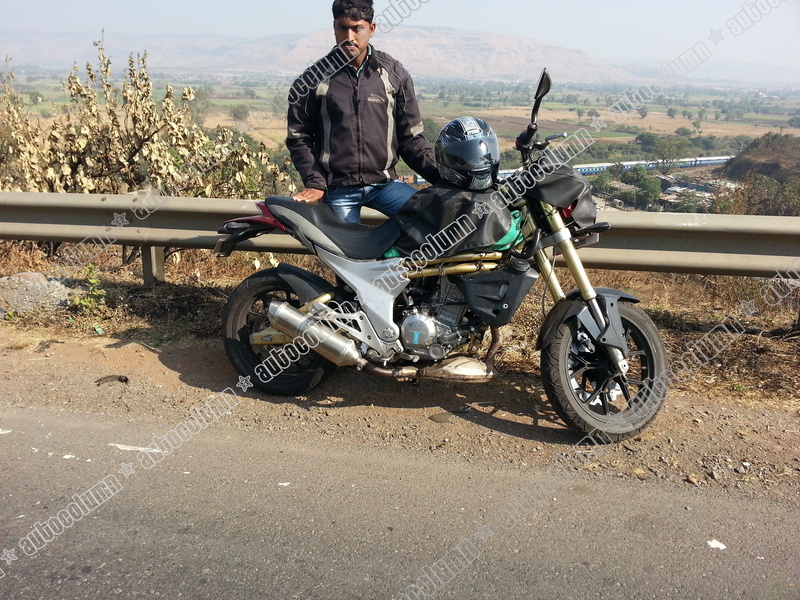 In terms of footwear, the test bike captured by us here is shod with a pair of Pirelli Sport Demon tyres (150/80 at the back). Having used these before, we are very confident about the performance and we expect it to be good for some blistering performance through the twisties. Twin exhausts, tasty alloy wheels and dual headlamps up front complete the package. While the test mule photographed by us came in Red, Mahindra has also confirmed that the Mojo will also be available in Silver & Black. Note the Pirelli Sport Demons up front & back. 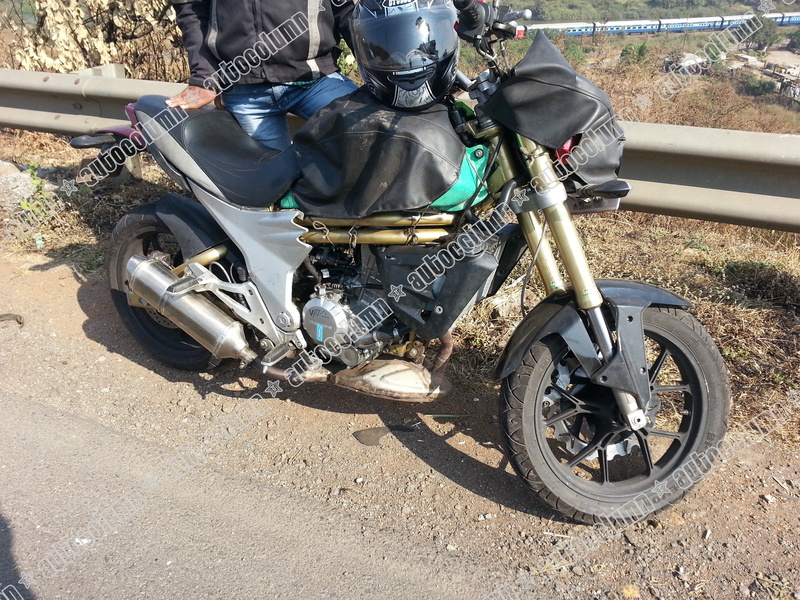 Speculation is rife that the Mojo is aimed at a 2014 launch and will most probably be seen the 2014 Auto Expo. Until then, dear reader, please enjoy the photos & keep watching this space for more. Remember, you saw them right here on AutoColumn.